Always a top choice when hungry for lunch or dinner. 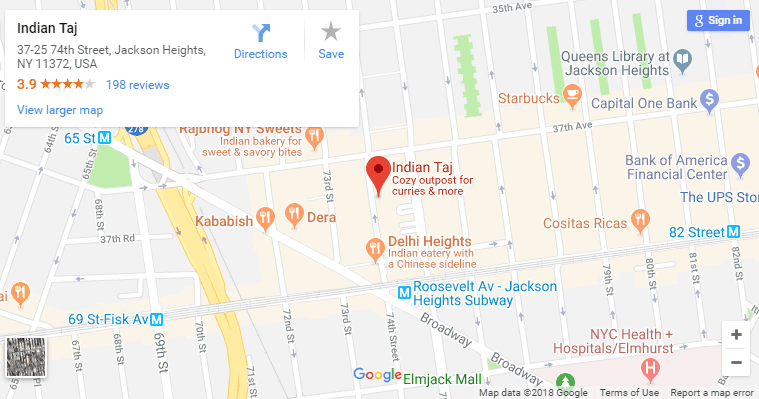 the Jackson Heights Indian buffet is a recommended destination for meals all day long as it is famous for delicious vegetarian and non-vegetarian options at the all you can eat 15 course lunch and dinner buffet. Indian Taj restaurant offers Indian cuisine prepared fresh and served spiced up according to your taste. Eat good food at the Indian Taj of Jackson Heights, Call 718-651-4187 to reserve or order delivery.